For over 20 years I have been admitted to practice Law as an Attorney and a member of the New York State Bar. 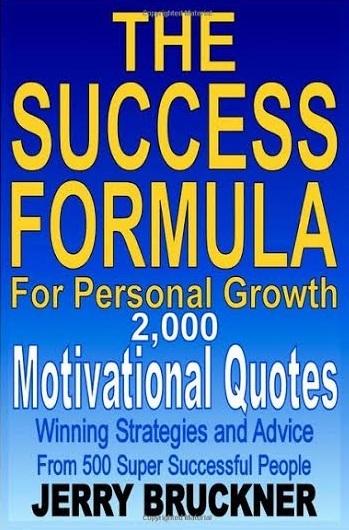 I have had a lifelong passion to help people improve their lives, and I am the author of the personal development book: The Success Formula for Personal Growth. After practicing Law for many years, I pursued another lifelong interest which was to work with technology to improve people's lives. I was employed for over 10 years with the leading small business, personal finance and tax software technology company, Intuit®, the maker of Quicken®, Quickbooks® and TurboTax®. At Intuit, I helped develop affordable, easy-to-use online web applications that simplify the business of life for small businesses, consumers and accounting professionals. I combined my legal skill and expertise in creating affordable, easy-to-use web applications, with my passion to help people improve their lives, and founded LetsGetDivorced.com to make divorce less stressful, simpler and very affordable, for spouses who can agree to file a no-fault uncontested divorce. LetsGetDivorced.com provides a very powerful and easy to use online legal document assembly app that makes it cheap, quick and easy for people to file a no-fault uncontested divorce in New York State, without using an attorney. Over time, the service will be expanded to handle no-fault uncontested divorces that will be filed in other states. 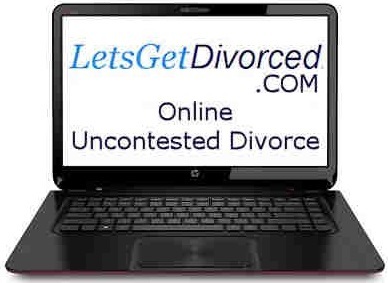 To get started, visitors to LetsGetDivorced.com can answer a few quick simple questions in a secure online divorce questionnaire to determine if they are eligible to use our service. If they are eligible, they can create an account and complete the online questionnaire to create their divorce papers. On average, it takes customers with a simple case about 15 minutes to complete the online questionnaire. When a customer makes a credit card payment of $99 their completed divorce papers are instantly available to them to print, sign and file in court. Simple filing instructions are included, and customer support is provided for free via phone and email by our friendly expert customer service team that is 100% located in the United States. I immensely enjoy and excel at creating positive, enjoyable and productive relationships with people. I always seek to find a way to “connect” with people, not just to communicate with them. By never forgetting that everyone deserves respect and to always listen before I speak. Personal: I am the parent of a young child and I am devoted to raising her to the best of my ability. Business: My overarching desire is to provide products and services of great value to customers that solves their problems and make their lives easier. I am amazed at the unlimited capacity of people to discover, learn, and create. So much has already been accomplished to improve peoples' lives. It's just incredible to imagine how much more will be achieved for humanity. Animal lovers, people who like to laugh and creative people. Anywhere outdoors surrounded by nature. It's about 100 degrees outside as I'm writing my answer to this question... At this moment, my favorite product is.... AIR CONDITIONING!!! Playing guitar. Music is good for the soul! When I was about 20 years old I was very athletic and practiced Karate 7 days a week for several hours a day. I had been doing this for about 3 years. One day, I injured my left knee while sparring in my Karate class and was rushed to the hospital with a knee that had swelled to the size of a bowling ball. I had major knee surgery on the knee (this was before arthroscopic surgery had been perfected). My knee was cut wide open and one of the meniscus was removed. My knee doctor told me that my injury was so bad that I would never be able to play sports again. My entire leg (from my hip to my ankle) was wrapped in a very tight brace (like a soft cast). When I was allowed to go home I remained in that soft cast for several months. For over a month I couldn't get out of bed without someone helping me and I was in a lot of pain. When I finally could go outside my house I could only walk about an inch or so at a time while standing on crutches... my entire left leg was stiff as a board and I had tremendous pain in my knee with each step. I would take a step, then wait a few minutes and take another step for an inch or so and do this for as long as I could. I remember saying to myself over and over "I can do this.... I can do this... I can do this..." It took weeks before I could bend my knee a little bit. Every step was agony.. felt like lightning bolts of pain in my knee. But I kept telling myself through the pain "I can do this... I can do this.." After a month or so I was able to walk on crutches around the block. I remember walking on crutches for several months. I developed tremendous will power and eventually I was able to walk and run again and play sports. I went on to resume studying Karate and other martial arts for over 20 years. Not bad for a kid who's doctors told him that he would never be able to play sports again. All through my life, when confronted with any difficulty, personal or business, I think to myself "I can do this" .... and I know I can do it!! My advice to others facing challenges or obstacles is to always believe you can do whatever you need and want to do to overcome your problem... and you will! I honestly can't think of anything like that. I've always liked to try new and different things and I don't hold myself back for fear of failure or embarrassment of not being good at something. It's fun just to try! None of my own personal or business accomplishments can compare to how proud I am everyday of my daughter (going on 9 years old). She is the nicest person I know, and makes everyone happy when she's around.